Shopify happens to be one of the most popular hosted shopping cart software in the market. This ecommerce solution is so simple to use with its clean and clear interface. The solution’s step by step guide from beginning to end helps to lead new merchants to set up their online store in an easy to understand manner. O, Yeah! So easy to understand and use, our Shopify review shows that new beginners do not have to worry about getting lost in the process of setting up their online store. Templates offered are beautiful and professionally done. Pixel sizes for banners are clearly stated. Offers domain registration service. Great selection of apps for merchants to pick. O, No! While there were a few glitches when it came to changing template, this is nothing serious. However, please note that free templates offered by Shopify are very limited. Subscription pricing is reasonable although the solution takes a cut in terms of transaction fees. Be ready to pay for the apps that you need for your business as some do not come cheap and those offered for free may not be what you are needing for your online business. So merchants may end up paying quite a bundle for the apps that they need. Shopify’s price are pretty competitive. However, merchants need to be aware that important features such as gift cards, professional reports and abandoned cart recovery are only available for those on the $79/month plan and the Advanced Plan at $299/month. Features such as the advanced report builder and real time carrier shipping are only available for Advanced Plan merchants at $299/month. 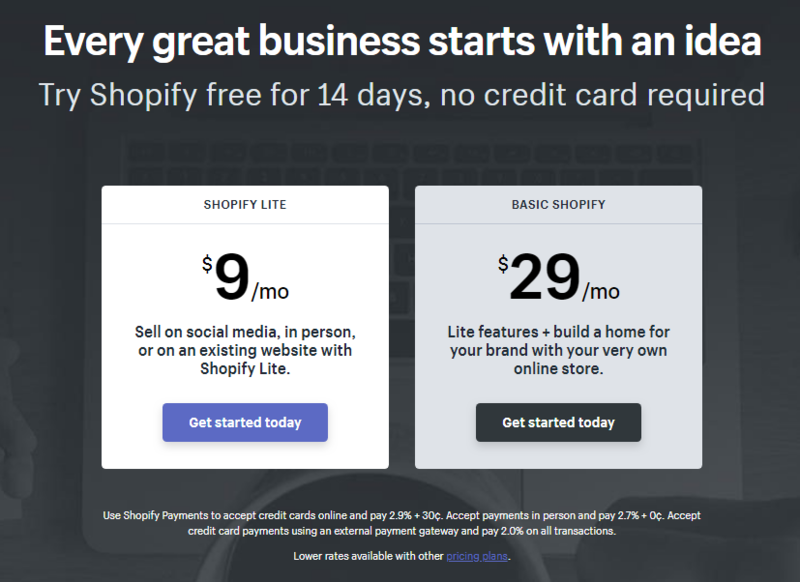 Plus Point : All of Shopify’s plans come with unlimited bandwidth and unlimited products (except for the Shopify Lite Plan at $9/month which only allows you to sell on Facebook and add your products on other sites and blogs). Serious sellers won’t go for the Lite Plan. Shopify charges transaction fees ranging from 0.5% – 2.0% depending on the package that you pick. More about this under Shopify Payments below. Signing up with Shopify for a free trial store was pretty easy. The ecommerce solution generates a trial store within seconds for new merchants. 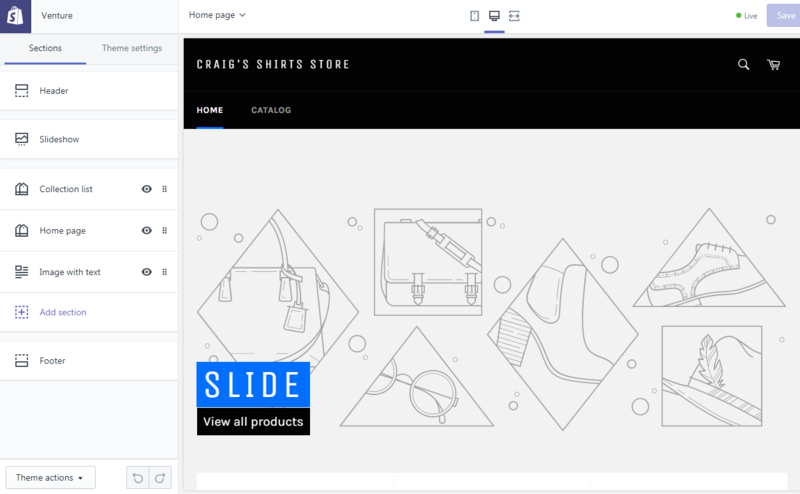 New merchants or sellers are guided each step of the way on what they need to do to get the store running with Shopify outlining the steps on the main dashboard. Shopify has also revamped their solution. The navigation bar used to be at the top of the page. They have since moved it to the left side of the dashboard for easier navigation. The process was easy as the Add Products page was clean and not complicated. The default template that comes with the free trial store makes any product that is uploaded look good. New merchants could add a few products to see how they look in their new store. Changing to a different theme in Shopify is easy. If you can’t find a theme that you like, just click on the Shopify Theme Store button on the right side of the screen which will take you to Shopify’s Theme Store. Here, you can choose to purchase a theme that you like for your store or look for one based on your industry or inventory size. Customizing the theme is pretty straightforward and easy. One can see the theme displayed on the theme mobile screen which helps saves time than to load it on your mobile. 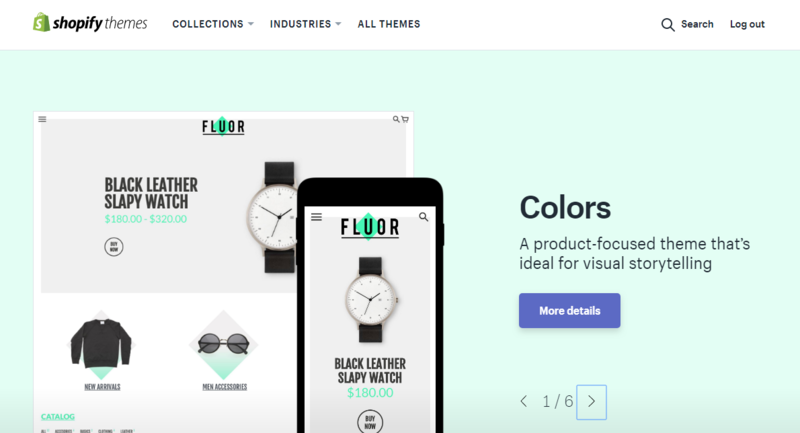 Useful Tip For Designers : Designers could design their own special and unique theme to sell on Shopify’s Theme Store. Lots of designers do that and it’s quite refreshing to see different styles of themes being showcased there. They even show what are the themes that are currently trending. 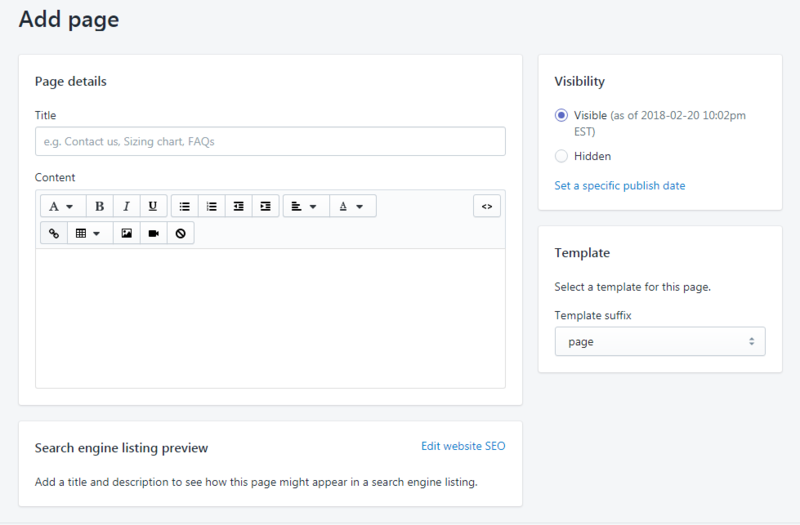 Merchants who prefer to use free templates may be limited by the selection of free themes available. So if you want a better template, you’d have to pay for one or have one custom designed. You could look for the themes based on the industry that you’re in or sort by price, most popular or most recent. 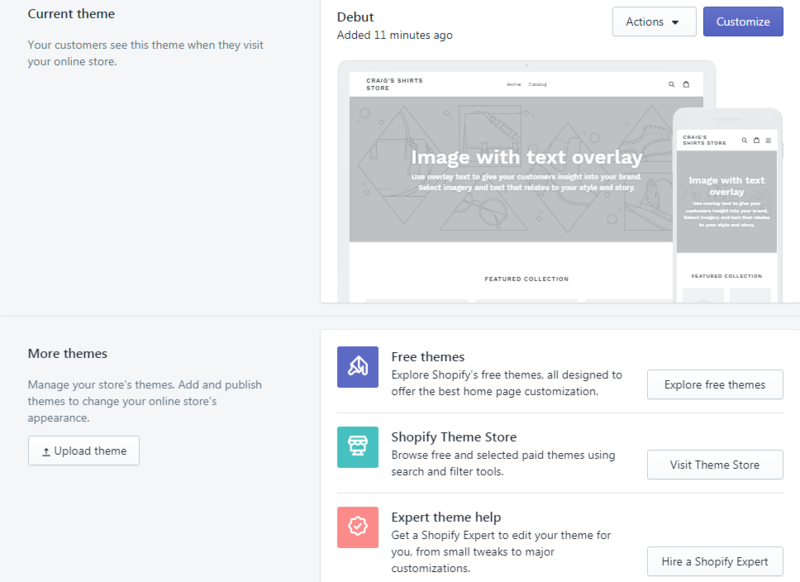 Anyway, you could pick a few free Shopify themes for your store and publish them as you may want to see a comparison on what your store looks like. Good design : I like the fact that you could see the theme that you’ve chosen along with the mobile version of it. Not happy with the current theme? Just click on Customize Theme and you’ll see how easy it is to make the necessary changes. 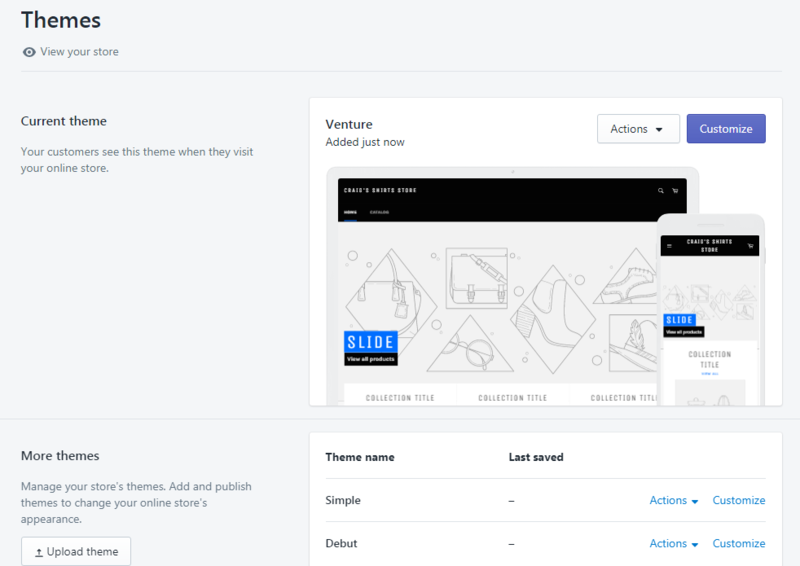 Shopify’s customize theme settings are easy to understand and merchants will be happy to see the changes they make on the right side reflected within a few seconds on their template. The left section lists down the different segments that allow for customization clearly. 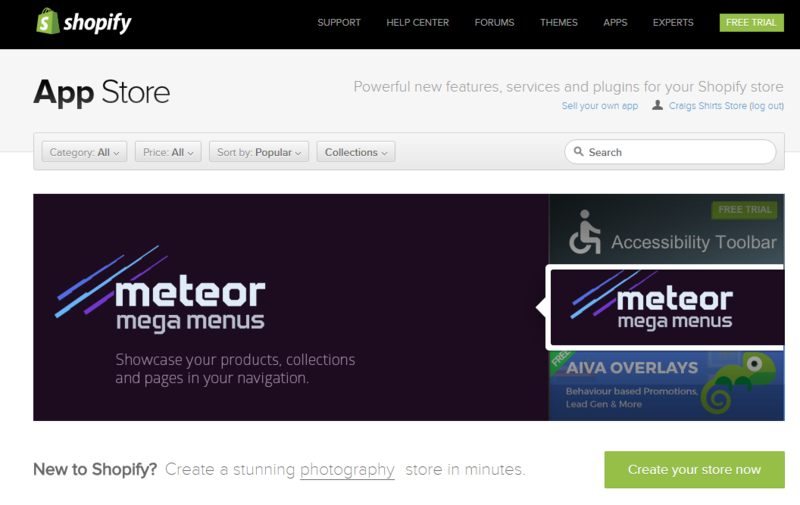 You could also see what your store looks like in desktop, tablet or mobile view as you work on customizing your theme. 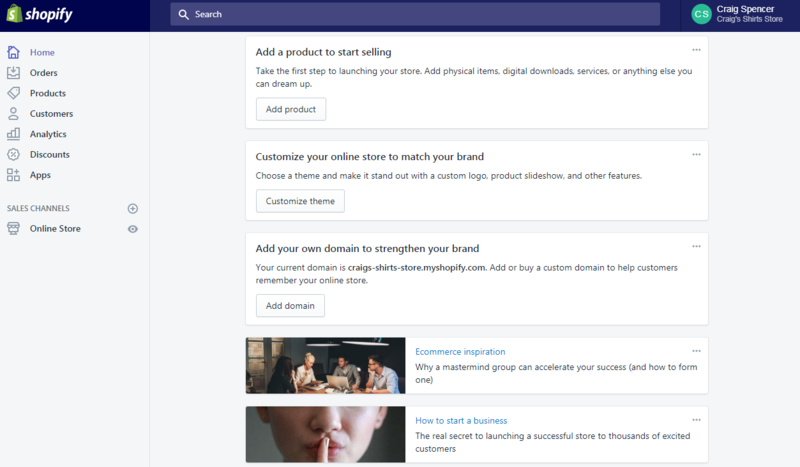 Shopify also makes it easy for merchants to blog about their store’s products, add company news or just let people know about their store updates. What I like about it is the fact that everything is integrated well and easy to use. 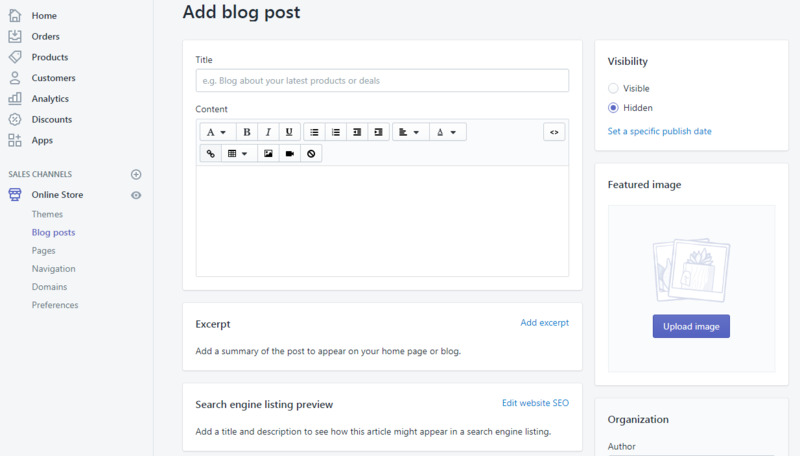 Adding content or editing your main website pages is quite convenient. Or, you could choose to add more pages to it. Enough said. 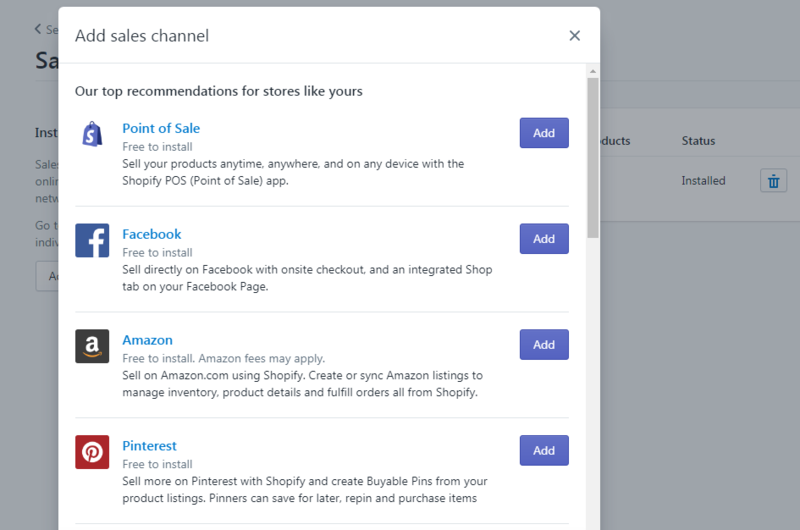 Shopify has a tonne of apps for merchants to pick from. Merchants can have a look at the trending apps and popular sales app which will at least give them an idea on what other merchants are using. These apps have their own reviews. While some are free, others are chargeable on a monthly basis. This is basically where all the additional features, tools and software are located but they are broken into small chunks adding as a plug in. So if you need it, you buy or subscribe to it. Kind of like using Apple’s App Store. Pros : Pay for what you need to use. Find it first and see whether it fits your business needs. Some apps come with a free trial period. Others may not. Some of the apps are offered FREE but these are usually limited. Cons : You need to pay for what you need. It could be on a monthly basis or a one time payment. Check your budget and get the ones you need for your business. Some apps are PAY PER USE (so watch out!). You may discover that it’ll be quite a bundle which you need to pay after selecting really good apps for your online business. 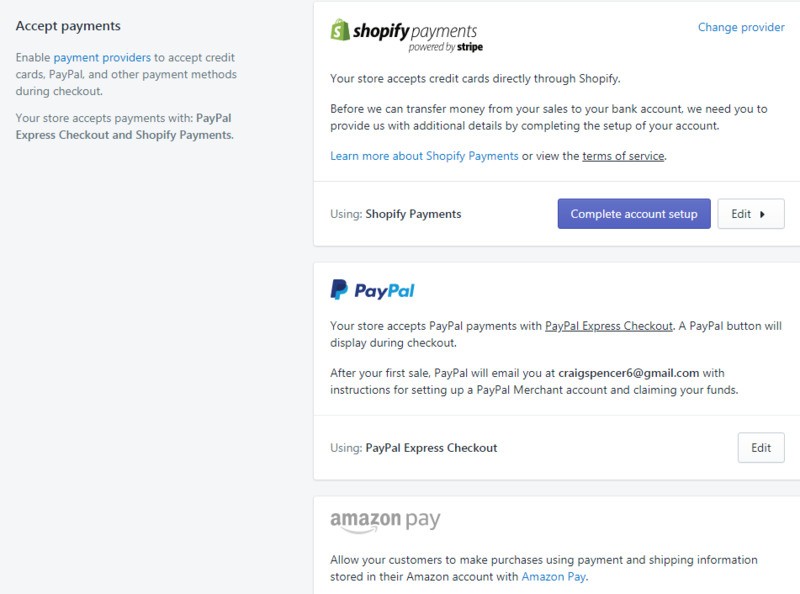 Previously, Shopify set their payment default to use PayPal Express Checkout. That has changed. So here’s the scoop about Shopify Payments. Remember those pesky transaction fees that Shopify charges that ranges from 0.5 % – 2.0%? Well the deal is that if you use Shopify Payments (which is powered by Stripe) to accept payment from customers, Shopify will waive those transaction fees. Please note that this is currently only available for merchants in USA and Canada. They’ll be rolling it out to the rest of the world soon (hopefully!). This is probably because Stripe is not available globally (yet) since they are powering the payment gateway for Shopify. If you’re using other payment gateways like PayPal, you’ll still have to pay those transaction fees. Shopify allows merchants to configure how they would like their customers to checkout. I think this is good as it offers more flexibility to both merchants and customers. Buyers these days do not want to waste a lot of time filling up unnecessary information as they just want to complete the checkout process as fast as possible. 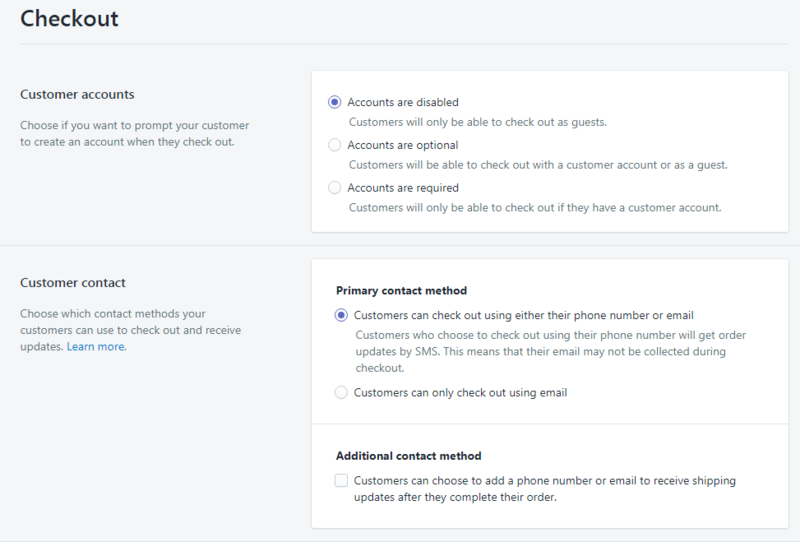 Customer accounts are disabled by default – saves time. If you want customers to create an account with your store before they checkout, you’ll need to change the checkout options. Shopify’s shipping seems to be pre-configured so that merchants just need to make some basic tweaks to it. However, for merchants who wish to use USPS, UPS, FedEx or other carrier that uses real-time shipping rates are required to sign up for Shopify’s pricing plan, which in this case is available for those who pick the $299/month plan. For those who do not wish to use any real time shipping rates, you could configure your own shipping rates based on your product weight or product pricing rate. Since the solution comes pre-populated with sample shipping rates for both local and international destinations, all you have to do is to amend the rates accordingly. Good stuff : I like the fact that you could print your own shipping labels by selecting the printer of your choice OR you could even choose to buy your own printer to print your shipping labels. 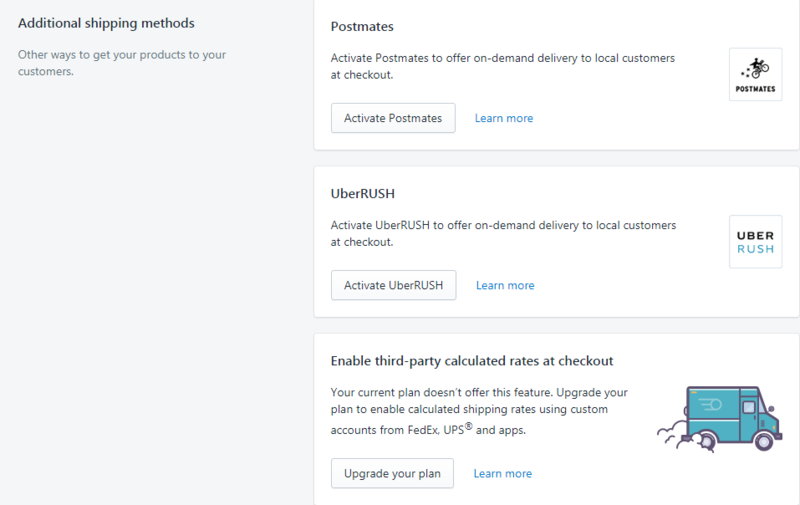 Also awesome that Shopify is integrated with UberRUSH as buyers these days want their stuff FAST which is pretty practical if you’re in the same city. 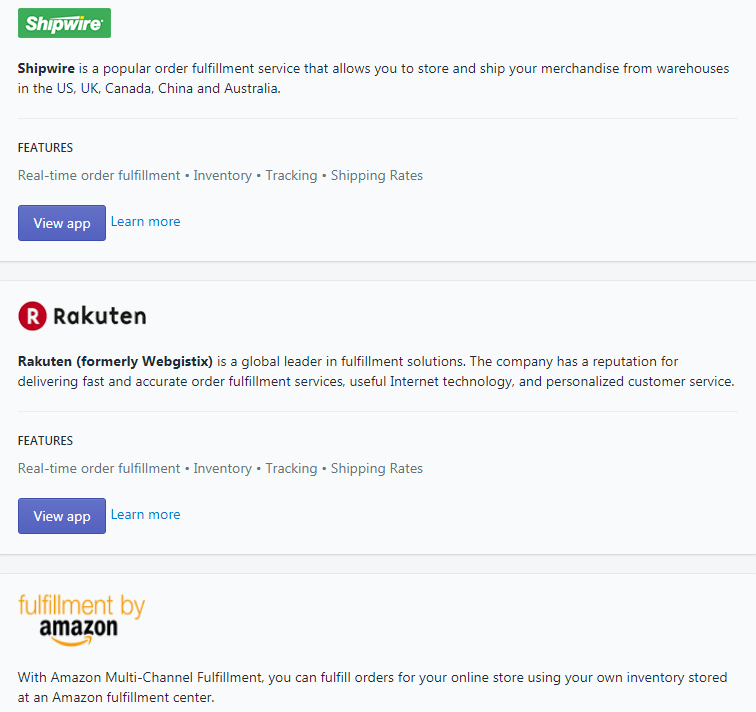 The shipping section is also where you connect dropshipping and fulfillment services if you’re planning to use ShipWire, Rakuten or Fulfillment by Amazon. You could even add your own custom order fulfillment. It’s easy to configure based on the state that you are planning to ship to. 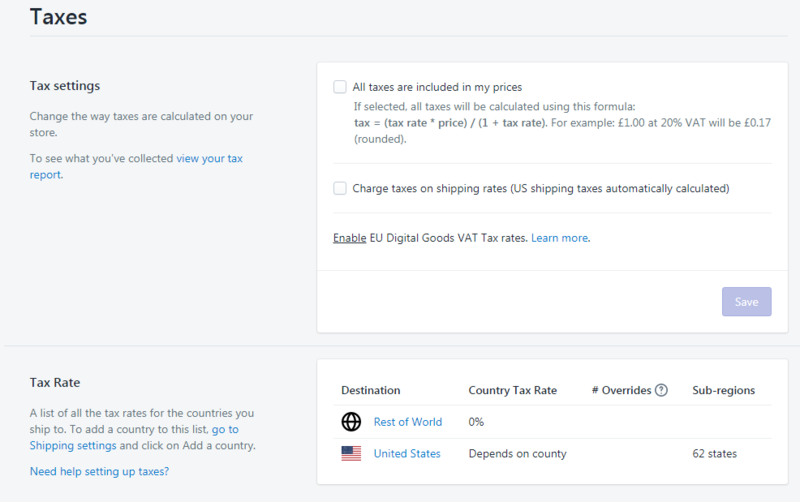 You could choose to add taxes to your shipping or even include taxes to your product prices. If you need to add additional taxes to different countries, you first need to make sure that the country is added under your Shipping configuration. 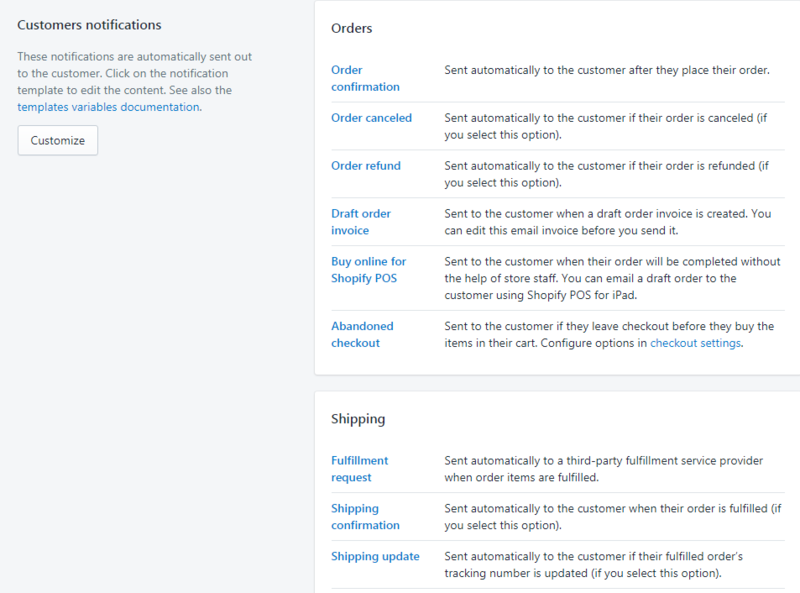 This is where you can find all the email templates and order notifications that are usually sent out to customers. Having them amended is very easy as you can just click the respective template to see what it looks like. There are alternate places where one can sell other than having your own Shopify website. 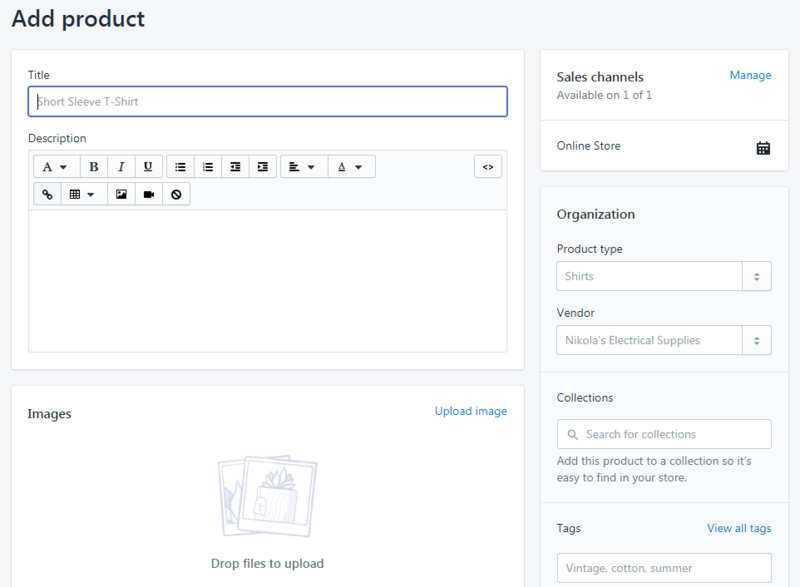 The Shopify Sales Channel section shows that you can add your Shopify account to social media sites such as Facebook, Point of Sale, Pinterest etc. Please note that the Twitter Buy Now button are only available for merchants within the States right now. We hope that Twitter will roll out the Buy Now button globally soon. Stripe was working with Twitter when the social media giant launched their Twitter Buy Now button earlier. You could even sell in person with the Shopify POS (Point of Sale) with an iPhone or iPad. Shopify merchants can choose to embed their products with a Buy button on WordPress, SquareSpace, Tumblr, etc to get wider coverage. The last step in setting up your online store would be to add in your domain name. Don’t have a domain? No worries. Just buy one through Shopify. You could check whether the domain name that you’re interested in is available or not. 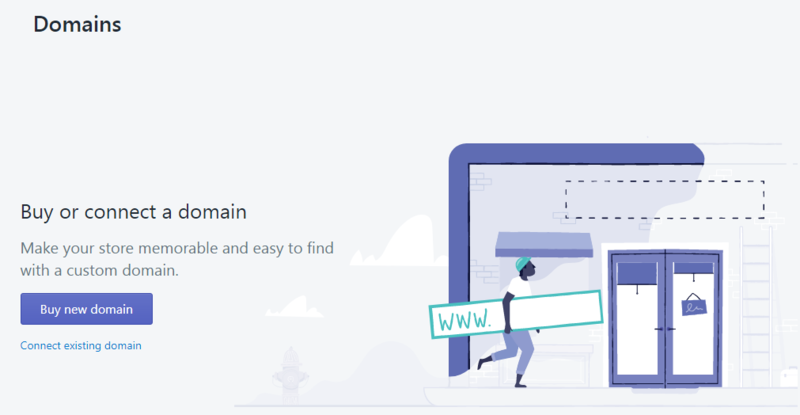 The solution will also offer several alternate domain name suggestions if the initial domain name that you want is no longer available. 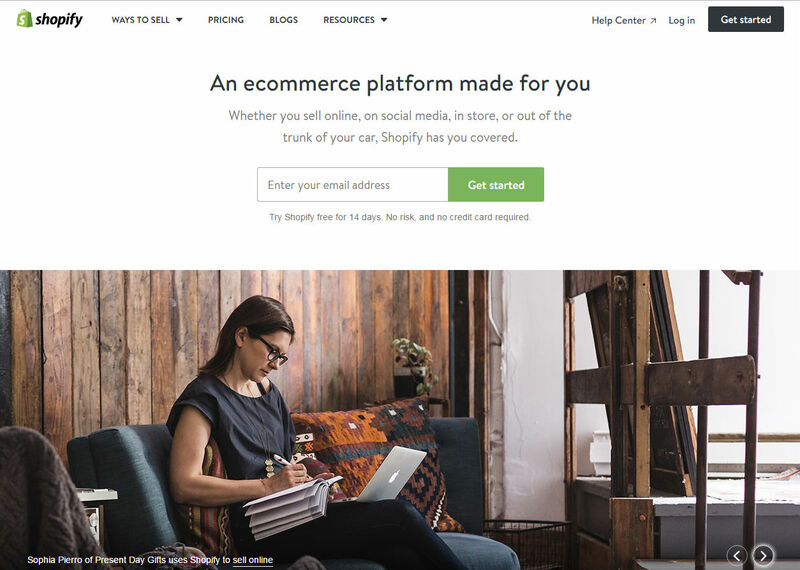 Shopify is an excellent shopping cart for new merchants who are starting their own online business due to its easy to use features and clean interface. It is ideal for those who do not know much about programming as the steps provided are easy to understand. I like the fact that this ecommerce software guides the user in a step by step manner in helping them to set up their online store.